We’ll probably spend all of our lives trying to hit all the best places to visit in Southeast Asia. Sure, there are wide stretches of the region still unknown to us, but in the meantime, we hope you can get there and enjoy it as we have. Here’s a mix of favorites, places we want to revisit, and those we want to eventually call ‘home.” Take a ride with us as we travel through Southeast Asia with a quickness. 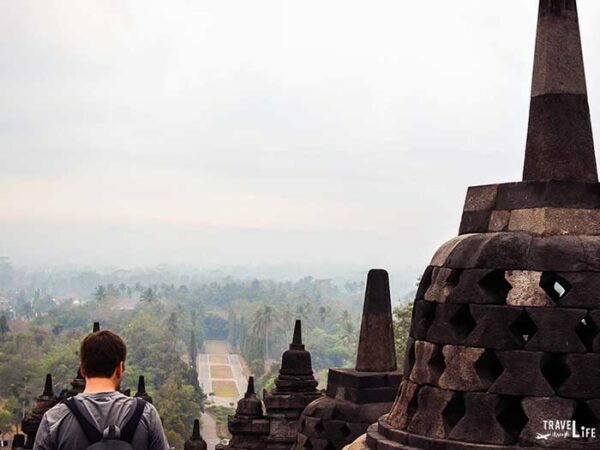 Still finalizing your Southeast Asia travel itinerary? Check here for the best prices on hotels, flights, and more! Sultan Omar Ali Saifuddien Mosque. Photo Courtesy of The Travel Sisters. Brunei Darussalam is easily overshadowed by Malaysia and Indonesia’s claim on Borneo. Sultan Omar Ali Saifuddin Mosque is one of the top things to do in Bandar Seri Begawan, and quite photogenic, too! Ulu Temborong National Park is one of the few spots in Borneo that the palm oil industry hasn’t yet bothered. 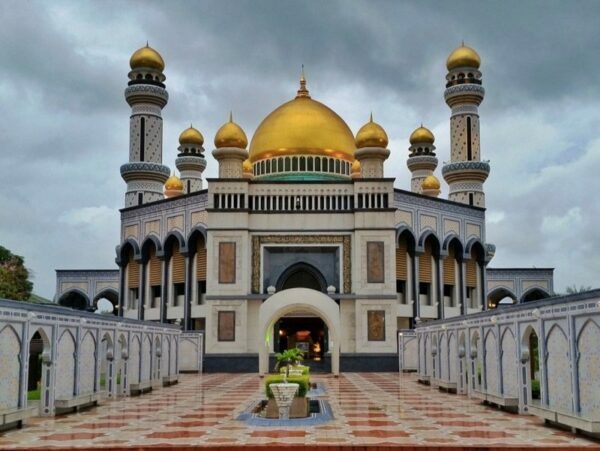 Another awesome place to visit in Brunei is the Jame’ Asri Sultan Hassanal Bolkiah Mosque. Also, don’t forget about Tamu Kianggeh, which is an open-air market hugging the banks of the Kianggeh River. I think Brunei deserves more attention against the rest of Southeast Asia. What do you think? Got a spot to add from this tiny nation. It’s cliche but true to say that Cambodia is a country full of contrasts. Some of the world’s most beautiful places battle against a tumultuous history. 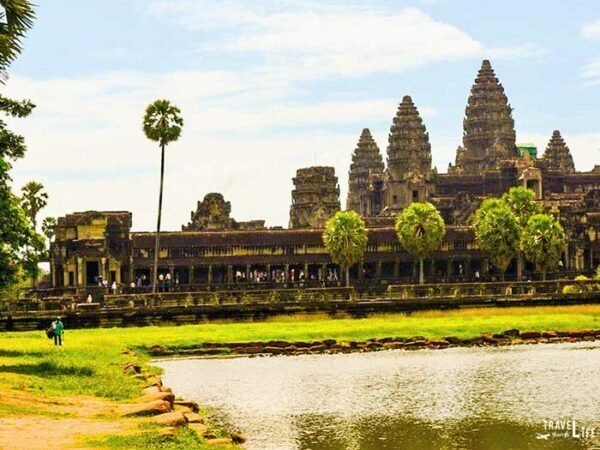 Angkor Wat headlines all of our “Things to Do in Cambodia” lists for a variety of reasons. It’s home to some of the most epic religious and cultural sites in the world, many of which we still haven’t seen. You can learn a lot about Cambodia’s modern history just by visiting Phnom Penh, spending time at the Killing Field and Tuol Sleng. Away from the city, there beautiful coastal spots, like Kampot and Kep. 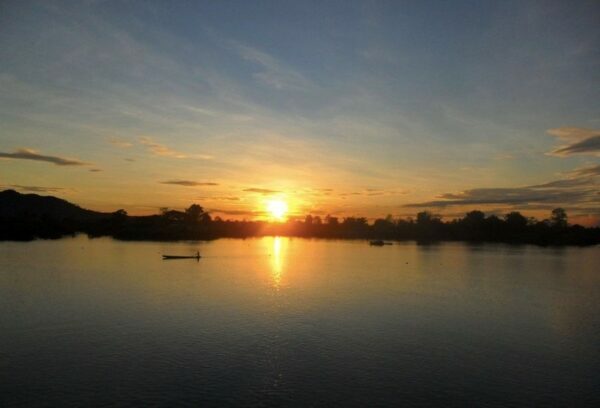 Other places to visit in Cambodia include Kampong Cham, Kratie, and Ratanakiri Province. We’ve created a few Cambodia travel guides, have highlighted our favorite places to visit, and look forward to sharing more about what to do in this awesome country. Indonesia is a massive archipelago, full of natural and manmade wonders that can keep even the most seasoned explorers busy forever. Many people start with the capital city when flying into Indonesia, but not far from Jakarta, Yogyakarta (Jogja) is also a big draw. Why? Because that’s where you go to visit Borobudur. Of course, there’s Bali, Lombok, the Gilis, Nusa Lembongan, and other wonderful spots worth checking out. More awesome spots in Indonesia include Komodo National Park, Sumatra, and Kalimantan. But let’s put it to you. Where in Indonesia would you go first? Our Indonesia travel section should help any questions you have when planning your Southeast Asia trip. Don Det. Photo Courtesy of Jon Algie. One of the main reasons I want to revisit Laos is to walk around and explore temples in the capital, Vientiane. Or, head north from the capital and hang out in Vang Vieng. Travelers flock to this place and I think you’ll quickly see why. Luang Prabang is another visitor’s dream in Laos, thanks to all the watery fun one can have there. Just letting loose and enjoying waterfalls (Kuang Si Falls, in particular) seems like the best part. Nong Khiaw is a quiet spot north of Luang Prabang, and it looks like a place that never wakes up. You don’t hear too much about Southern Laos, thanks to the noisy north. There, you can explore the 4,000 Islands and spots like Don Khon and Khone Phapheng Waterfalls. That wraps up this look at Laos, from north to south. Have you ever visited that wonderful country? Where should a person go first? We immediately fell in love with Malaysia will keep going back. For us, it all starts with Kuala Lumpur, which has to be one of my all-time favorite cities. Stopping by and staring up at Petronas Towers and visiting KL’s Chinatown are things we must do when back in the city. Getting away from that bustling metropolis is pretty easy. Stop by Penang for the food and walk around the Chew Jetty. 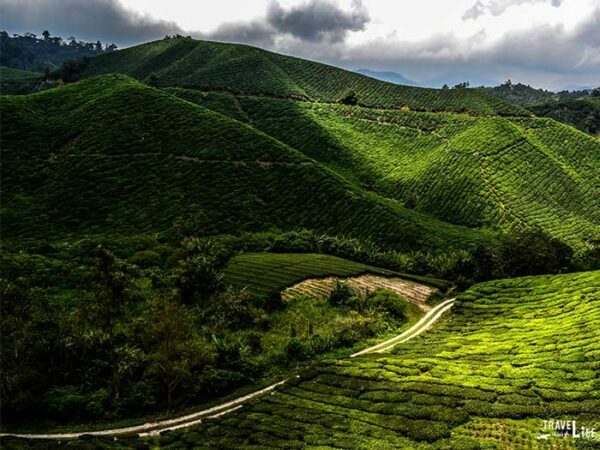 If you’d like to escape the heat for more than 24 hours, spend a weekend or two (or three) at the Cameron Highlands. Other places to visit in Malaysia include Langkawi, Perhentian, Melaka, Kuching, and Kota Kinabalu. Where else would you recommend? We’d love to know about it and check it out, too! Inle Lake. Photo Courtesy of Kirsty Bennetts from Kathmandu and Beyond. My first thoughts of Myanmar started with the words of George Orwell, but recent images and stories from fellow travelers continue to pique our interest in this place. Yangon is the former capital and carries a mix of the past and present as it forges ahead towards the future. You can also take a train out to Kandawgyi Lake and walk around an awesome-looking bridge. 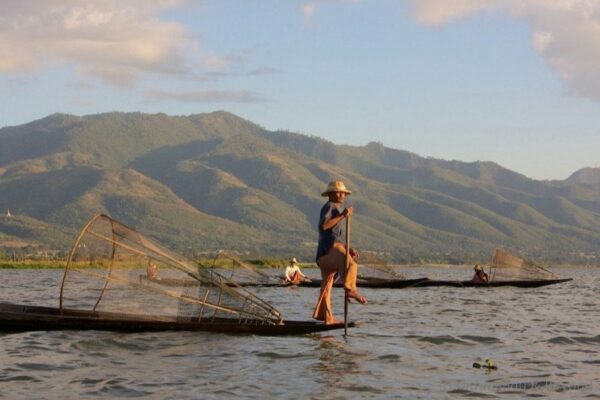 Speaking of water, Inle Lake is up in Shan Hills, northeast of the capital. Probably the most imaginative scenes you’ll find are in Bagan. It’s home to over 2,000 Buddhist relics and monuments and surrounded by beautiful green plains. Some more Myanmar must-sees include Mawlamyine, the Reclining Buddha in Mudon, and Mandalay. All are wonderful examples and reasons why more people must visit this spectacular country. Have you ever seen these places in person? What place will you visit first when in Myanmar? Like all these places to visit in Southeast Asia, we could spend forever in The Philippines and still barely scratch the surface of its 81 provinces. Most traffic goes through Manila before moving on elsewhere, to places like the scenic Banaue Rice Terraces. Then, there’s the huge island of Palawan, where you’ll find Puerto Princessa, El Nido, and Coron. Cebu is a bustling paradise full of beaches and perfect for just about every traveler. 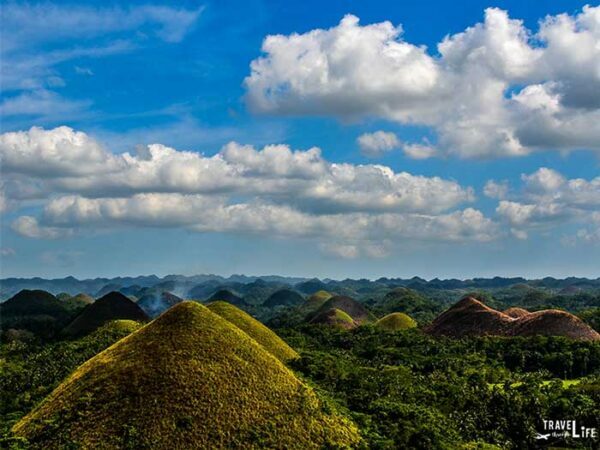 Bohol, among other unique finds, holds the immaculate Chocolate Hills. That’s all from the Philippines for now. Hopefully, you’ll get a chance to visit this wonderful archipelago. If you have already, what did you make of it and do you have anything to add to these places to visit in the Philippines? For such a tiny island, Singapore really packs a punch. This city-state is home to some of the most beautiful green spaces and delicious food on the planet. There are even fun things to do at Changi Airport, as it’s consistently rated the world’s best. For many people, images of the Marina Bay Sands Hotel come to mind when thinking of Singapore. 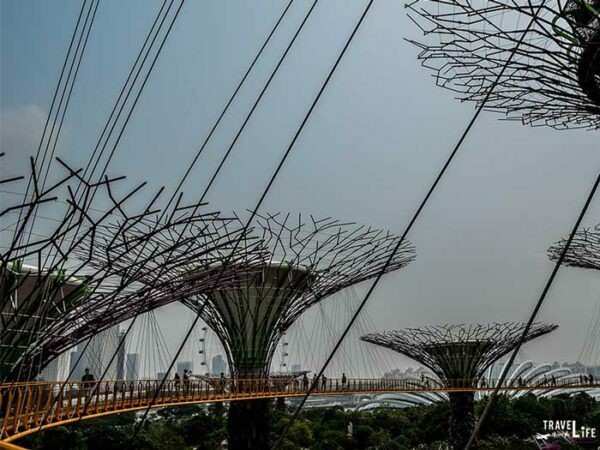 Gardens by the Bay is a big attraction near the Marina Bay Sands and this awe-inspiring Supertree Grove is worth a look. During our super quick trip to Singapore, we tried to devour as much food as possible, like chicken rice inside Maxwell’s Food Centre. Singapore might be tiny but there are tons of things to do and see while there. What would you do first? Wat Phra That Doi Suthep near Chiang Mai. When thinking of a trip to Thailand, it’s easy to think of beaches (Phuket and Koh Samui, especially) but there’s so much more to the country. Of course, everyone knows about Bangkok’s Khao San Road but there are more things to see inside the capital city. Ayutthaya is a day trip away from Bangkok and full of history, as it was once the world’s largest city and former trading post between India and China. Sukhothai is often overlooked by visitors to Thailand but is a truly important part of the country’s history. It’s easy to fall in love with Northern Thailand, too, especially Chiang Mai and Pai in particular. Phuket is where Thailand’s beach conversations begin and end with many people, with the fun starting around Patong. Many people get away from Phuket and head south on the mainland through Krabi Province. Other fun spots in Thailand include Phi Phi, PhraNang, and Koh Chang in the south. 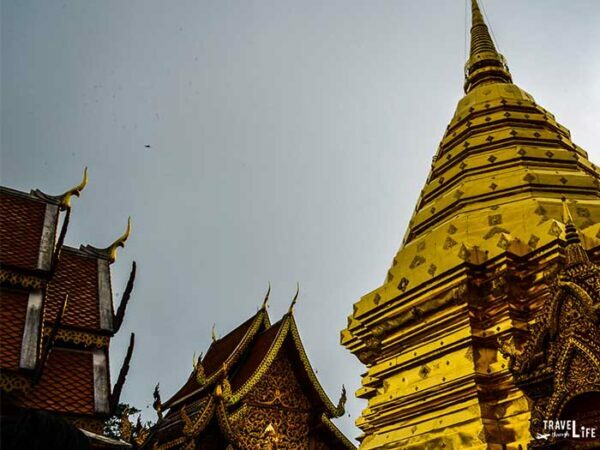 Chiang Rai is another cool place to visit in the north and many travelers overlook Sukhothai north of Bangkok. How many of these spots have you picked out for the next trip? Our Thailand travel guides will help you decide. After visiting Vietnam, I want more and can’t wait to revisit some places while scoping out others for the first time. Hanoi is the very busy capital city and the epicenter of Northern Vietnam. The capital city is great in so many ways but also for its proximity to Sa Pa, a rural northern town that doubles as a trekker’s dream. The greatest-known trip away from Hanoi leads to Halong Bay, a massive collection of karst surrounded by glorious waterways and more. In the south, call it Ho Chi Minh City or harken back to the past by referring to it as Saigon and you can’t go wrong. Ho Chi Minh’s Ben Thanh Market still stands as my favorite food destination, and can’t be missed if you’re in the city. In between Vietnam’s two largest cities are a plethora of places worth visiting. 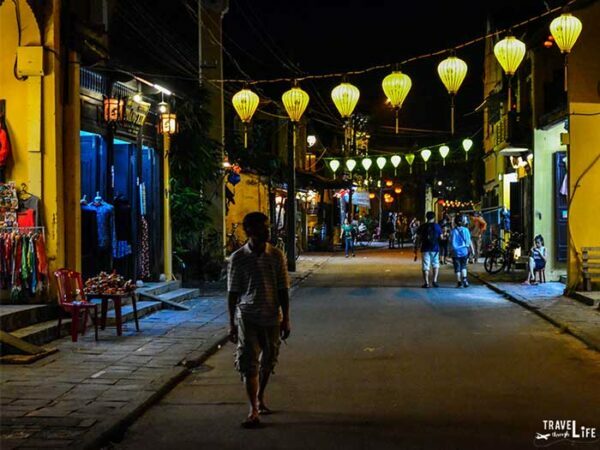 We’d be doing you a disservice if we didn’t mention Hue, Da Nang, and Hoi An in the center. Further south, there’s Nha Trang, Da Lat, and Mui Ne. As you can see, Vietnam has a treasure trove of great things to see and do. Have you gotten a chance to travel through this interesting country? When we first started traveling through Southeast Asia, the experience opened my eyes in so many ways. Christina and I walked through gorgeous locations, ate the finest cuisine, and listened to beautiful languages spoken by everyone around us. I’m so happy that we got to experience some of it and can’t wait to go back, especially with our little one. 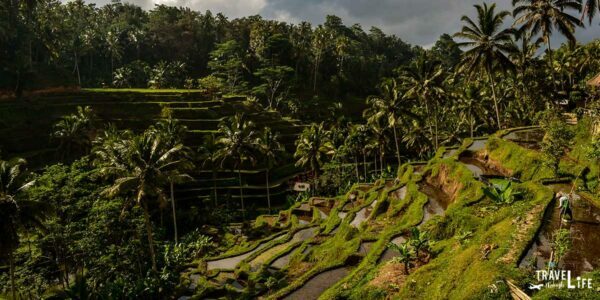 This article about the best places to visit in Southeast Asia is part of our series on Travel Destinations, Asia Travel, and Southeast Asia Travel. It was originally created on May 17, 2016. It has been maintained and updated (as of January 26, 2019) to reflect current viewpoints and travel trends. Incredible captures! I have done just 3 of these countries, hopefully others too will be covered some day. Lover of ruins so I loved the photographs of old monuments, amazes me that stand strong through several centuries! Wow, what an extensive list and some incredible photos there too. I love SE Asia so much and you’ve shown me I have so much still to see. Thank you, Lyn! Glad you enjoyed all the photos from these wonderful people:) Happy you stopped by. Hope you get to go back to SE Asia really soon! Thank you for helping with this, Petra! Thanks for adding these awesome photos and for stopping by, Arnette! I’ve corrected the mistake so sorry about that. Thanks again and have a good one! Thank you, Megan. I think you guys stack up pretty well with those awesome photos you shared. Much appreciated and I hope you get to touch them all someday! Thank you, Vanessa, for all your guidance and for your awesome submissions! Thank you, Natasha! I barely scratched the surface of both countries and really want to go back as soon as possible! I kind of miss Korean food right now, actually, but I can get why you’re wanting something different. Lol. Thank you for commenting, Gemma! I’m glad you enjoyed and I’m very happy that you submitted such awesome photos! Great photo travel log. Thanks! Thank you, Jim! This was really fun to put together and I’m happy with all the help I got here. Cheers and hope to talk soon!